Watford City and its surrounding attractions will be featured on an upcoming Travels with Darley episode. Darley Newman, host of the show, and her crew of technical experts spent four days visiting the people and places of McKenzie County in late June. 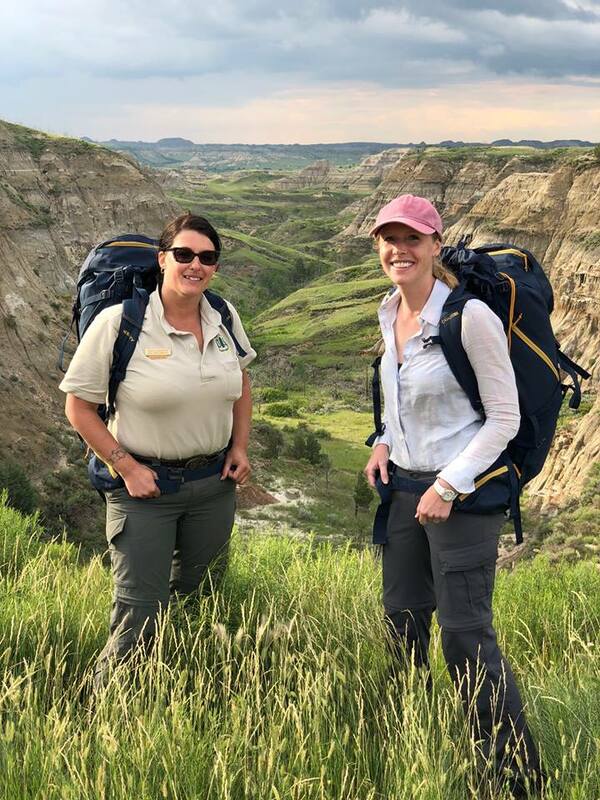 Her visits included the Little Missouri National Grasslands, Theodore Roosevelt National Park, interactions with Native American culture, and various amenities of the area. The next season will launch in January 2019 and should be available to approximately 97% of the United States television viewers via PBS stations. It will also be available worldwide through agreements with Amazon Prime and other distributors. We will be sure to keep you in the loop when the airing date is set. Check out the show's Facebook, Twitter and Instagram to see a sneak peak of some of what she experienced while here.